As of late, I have been drifting in and out of fogginess and realistically evaluating things in my life. Musically, I have felt distanced, yet engaged. There are new songs, there are beautiful memories seeping up into my words. I’m missing dear ones who aren’t here. I am very much appreciating those who are, those who know and support me with their words and spirits. I have learned yet again what my own voice sounds like and with that I have found an eagerness to start. Anything. All things. And do them well and with the passion of right now. 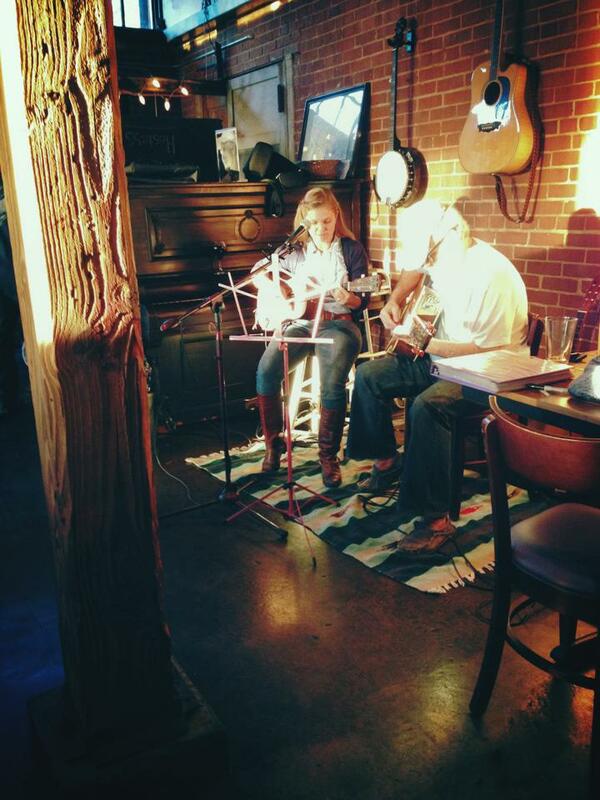 I played a humbling show this past Tuesday with a local singer/songwriter, Paul. He truly added so much depth to my songs, I was caught unaware of just how nice it would be to have someone who can dance around my melodies and make them sound so soft and amazing. That was a inspiring night. Last night was inspiring also. Two dear friends were married yesterday in a sweet, intimate and rainy afternoon. It was lovely, truly lovely to see all the smiling faces and to be able to dance and dance. Exchanges of love like that often create a feeling of both joy and solitude because when I see love, I see my grandparents and I often doubt I will ever be lucky enough to be with someone like my grandfather and be someone like my grandmother… Future is the future though, for many good reasons it is shrouded in the unknown. Best it stay that way, else I may either retreat to hermitude or climb the highest, shooting star mountain shouting for joy that I know it will come true. I wrote this this morning, after waking around 7:15, smiling because last night was so heart-warming.